Manifesto is proud to announce our inaugural weekend of programming in New York City, August 17-20, 2017. 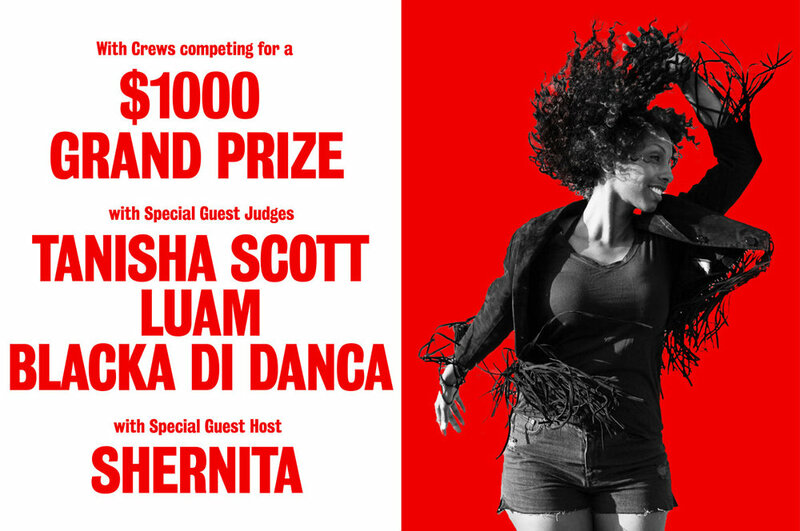 New York has and continues to be an epicenter for global grassroots arts movements, fueled with a vibrancy, passion and diversity that is in tune with Manifesto's core values. 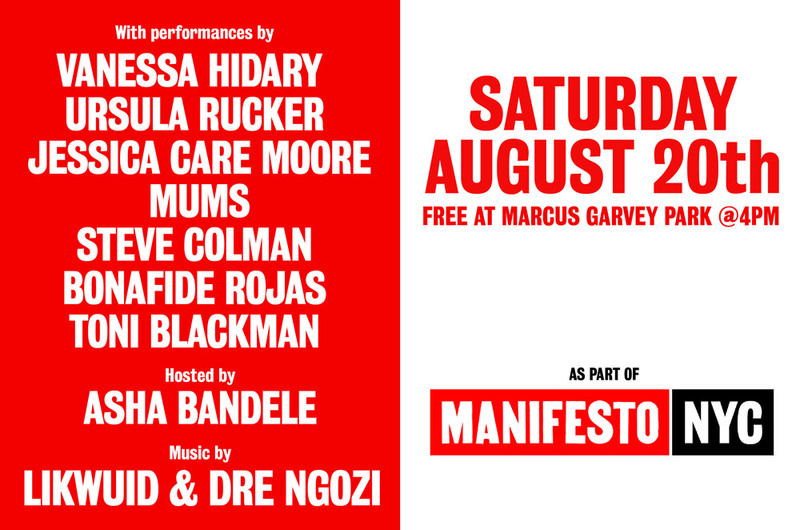 Manifesto is a collective of like-minded people, artists and organizers from across New York City with a mission to educate, inspire, support and empower diverse communities of young people through arts and culture. Our sister organization in Toronto has been committed to this mission for 11 years with incredible results growing into the biggest celebration of hip hop culture and beyond in Canada. We are carrying on the energy and spirit of the movement in NYC. We can't wait for this new chapter in Manifesto's evolution and we invite you to be a part of it, supporting and participating in artistic and community development. 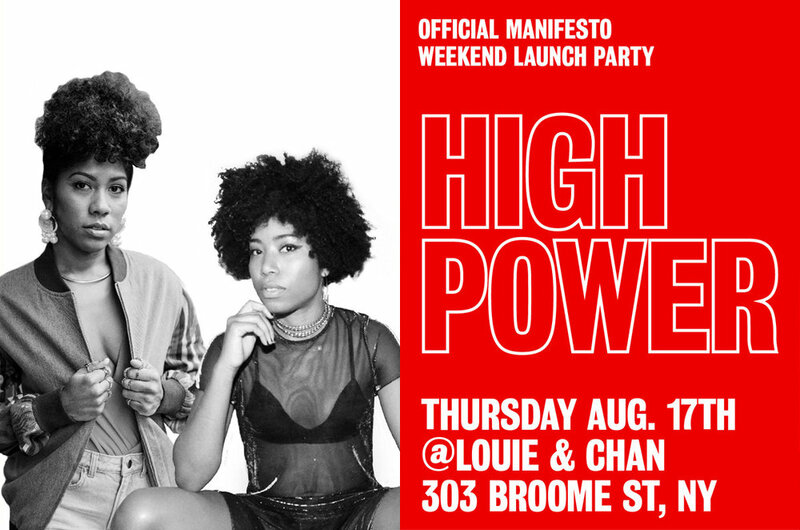 Be a part of celebrating our official NYC launch from August 17-20 with a multi-disciplinary range of events across the city: Our signature monthly party dedicated to the sounds of Soca, Reggae, Dancehall and Afrobeats all spun by top female DJ's called 'High Power', Artist showcases and an all styles choreography and dance competition. This is just the kick off, we will be working together with local communities to program a wide range of events from talks, workshops, music showcases, exhibitions and more. Check out the full weekend programming below. Stay in the loop on events, special offers and other news from Manifesto and the city.